This is so far the shame of the too shea-mless collection. It contains all the colors of the rainbow and then some. 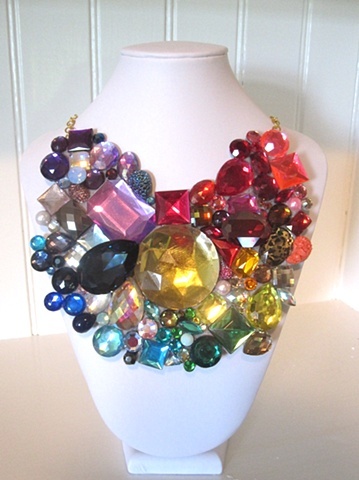 Big and small rhinestones of every hue spitter spatter this massive monstrosity. Swarovski to vintage and back again.